Are you part of the 90% of business website owners in Malaysia that has a great-looking website design, yet nobody knows about you? Never being found by a potential customer means no sales. A website is useless if it can’t help you increase your sales and revenue. There are hundreds of millions of visitors using search engines to look for their desired product or service every day. By using proper SEO marketing, it can help to rank your website on page 1 of Google search result. Once your website can rank on page 1 of the search result for a specific term, you can potentially get a few hundred leads. If you have 300 leads per month and 5% of them become customers, this will generate 15 sales every month. Which SEO Strategy is Right For Me? Search Engine Optimisation is the process of increasing your website’s presence in search engine results like Google, Yahoo and Bing. By using proper SEO services, your website will achieve top 10 rankings in search engine results. You can target visitors who are already interested in your products and services, and drive them to your website for FREE! In today’s’ business world, search engines have become one of the most important marketing tools, helping business owners generate thousands of leads every month. Without doing proper search engine marketing (SEO), you’re missing the opportunity of showing up on the 1st-page search results when visitors are searching for the types of services that you offer. They may never even know you exist and will instead book with your competitor. 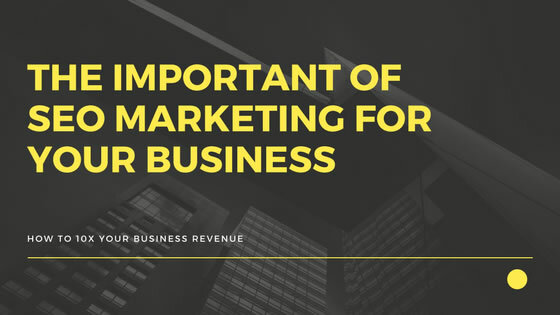 You are not taking the benefit of a marketing tool that could increase your revenue 365 days a year, 24 X 7 a week, for less than it costs to have a sales person in your company. But before you quickly dive into implementing an SEO campaign, it is important to find out the best SEO strategies to maximise the result, while at the same time keeping your budget at a minimum. There is 2 type of SEO results, Local SEO and Organic SEO. For local SEO, search engines are seeking out relevant and trusted locations. On the other hand, organic SEO is when search engines are looking for relevant and trusted content. The search terms usually consist of [keyword] + [location]. Even if the user only enters a keyword that is relevant to the local business, search engines are smart enough to deliver local results based on the searcher’s location. For instance, when someone in KL searches for “florist” or “wedding planner,” the search engine will return businesses located in KL. For someone who inputs the same search terms but is located in Penang, it will return businesses located in Penang, only. Note: Local Snack Pack Map Result only available in Local SEO. Organic SEO is a marketing practice that revolves, more or less, around a website (trusted content). This website can be a full-fledged Internet-based business which may or may not have a geographical location.For example, bloggers, Internet marketers, affiliate marketers, and other Internet-only businesses. This also includes specific search terms (non-local search terms) that is not directly related to a local business. E.g. “wedding planning” and “hand bouquet” will not return local search results, but they will certainly be a part of the organic result. In reality, a wedding planner or florist would like to have their website in top position when a user searches for these terms. Do you have a local business with the fixed address? Does your primary target search terms return local results (snack pack map listing)? If BOTH answers to these questions are yes, local SEO is a good start for you. Organic SEO basically can apply to any kind of business, but the competition will be higher because you are competing at a nationwide or international level. In short, local SEO’s competition is lower but is limited to local search terms. Organic SEO’s competition is higher but doesn’t limit to only local search terms. Check out more the detailed comparison. 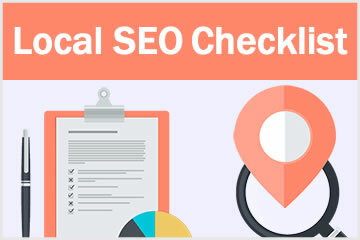 Many business owners often overlook local SEO and only focus on Organic SEO. There is nothing wrong in targeting organic results, which is still really possible with extensive SEO work. But, they are missing a huge opportunity to get targeted traffic from the snack pack map result. Why? This is because the local snack pack map result is showing on top of the organic search result. 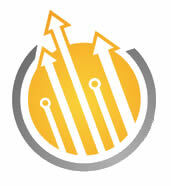 In SEO principle, the higher position of your website, the click-through rate will also be higher. Think about the results in mobile searches. Most users are least likely to scroll down all the way to the bottom of the page 1 result. Therefore, if your site shows up in top position with the 5-star review icon, your click-through-rate will definitely be the highest among all other results. If you are still thinking the focus on website’s ranking is the only thing you should do, you are leaving tonnes of money on the table. There is more thing you should do together with your SEO campaign to increase your sales. Have you used 80/20 rules to focus on your profitable products/services? Have you implemented conversion rate optimisation on your website to double or triple the sales with a same number of visitors? Have you gained more than one spots in Google Page 1 result? Have you implemented re-engagement strategy to bring back past visitors? If you never complete any one of the above, you should check out how to fix it below.